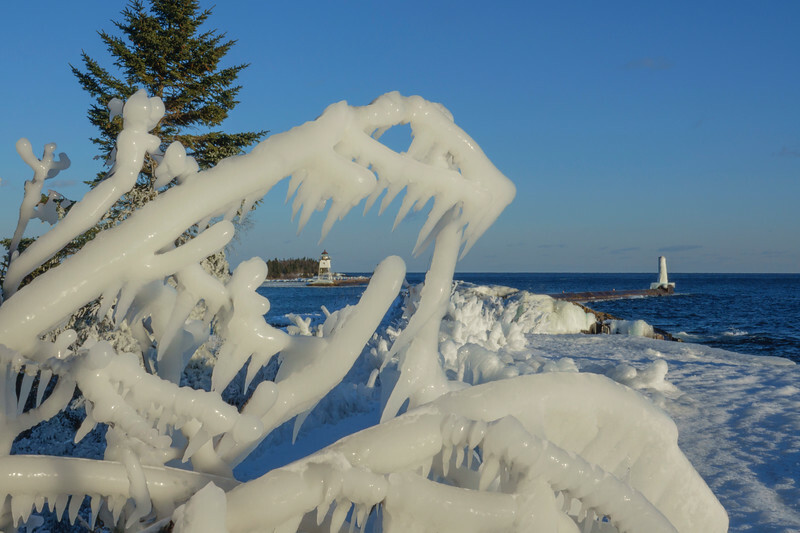 With the recent winds and cold temps ice was covering branches and rocks around Grand Marais. 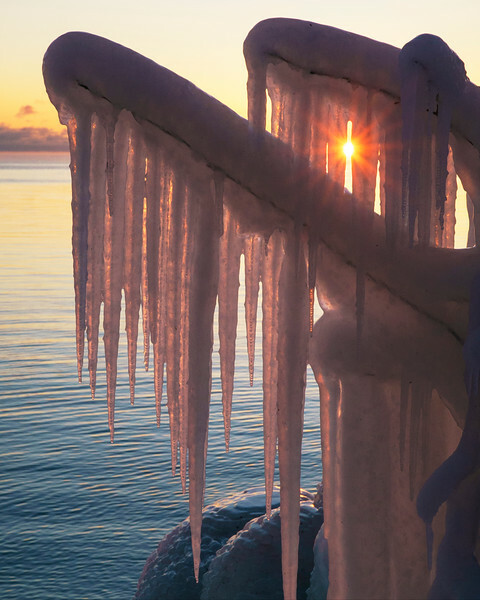 The Grand Marais light always looks nice through the ice. 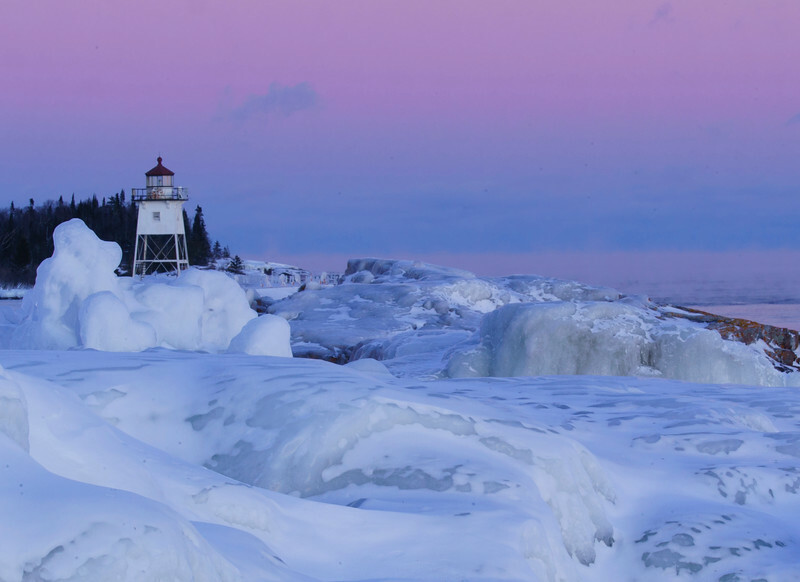 I went back in the evening to get the pink sky behind the light. 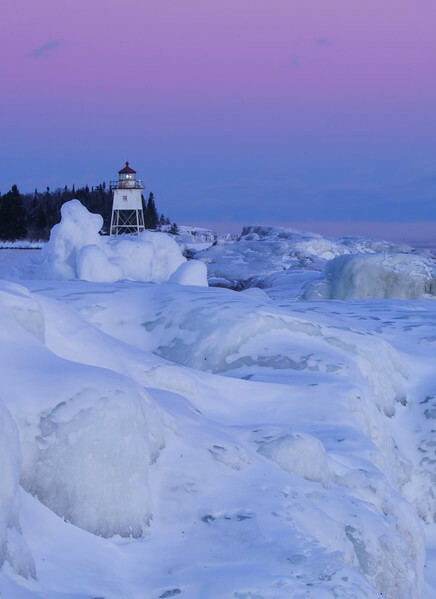 Most of the rocks in the harbor area are covered in ice and snow. You can see how small the branch is. 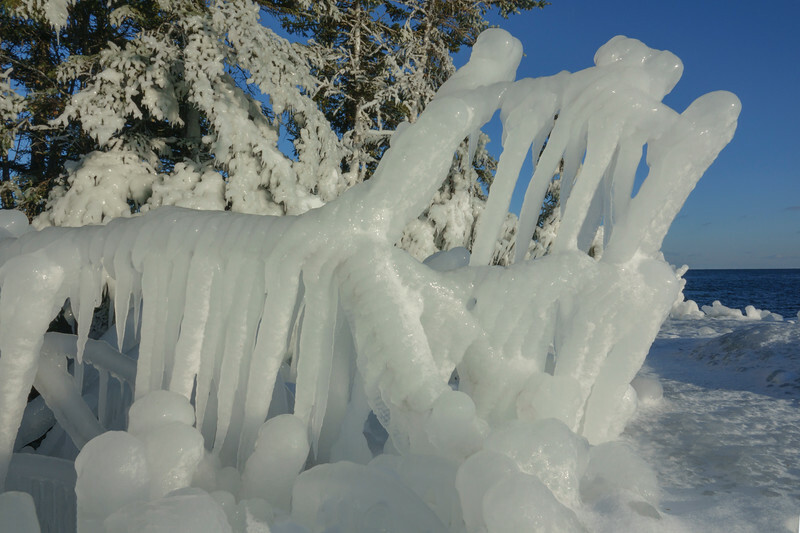 When applied in layers a small branch can support lots of ice.